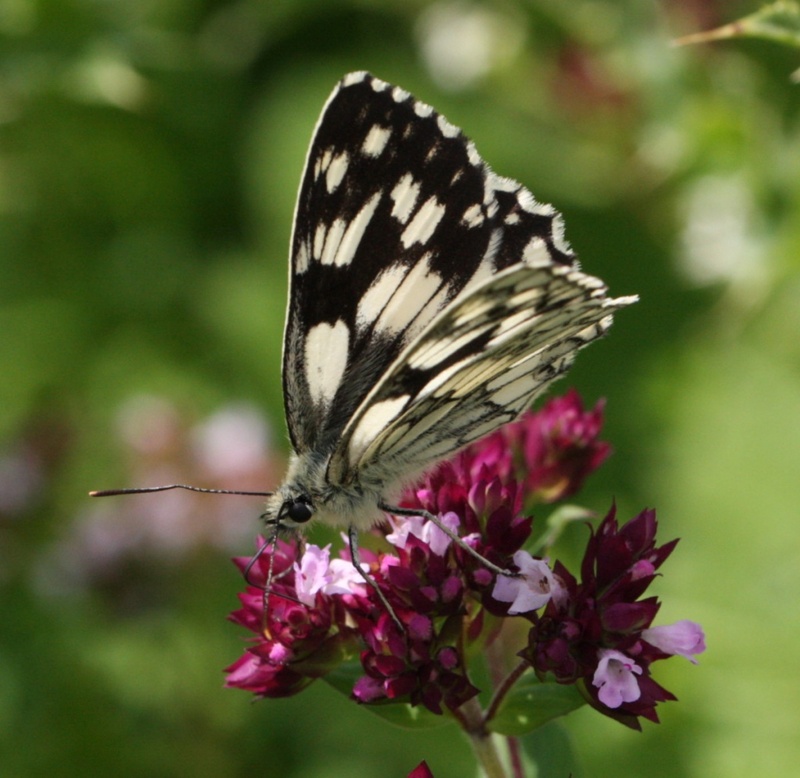 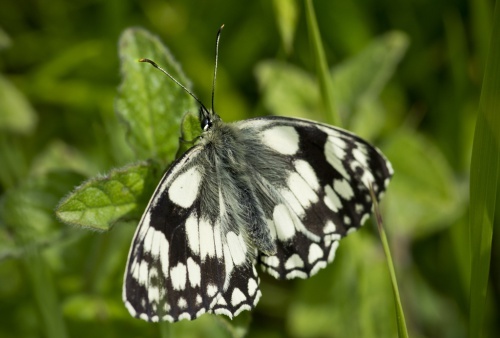 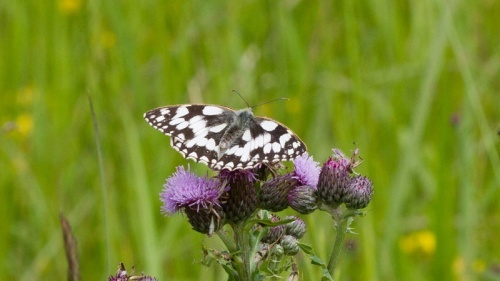 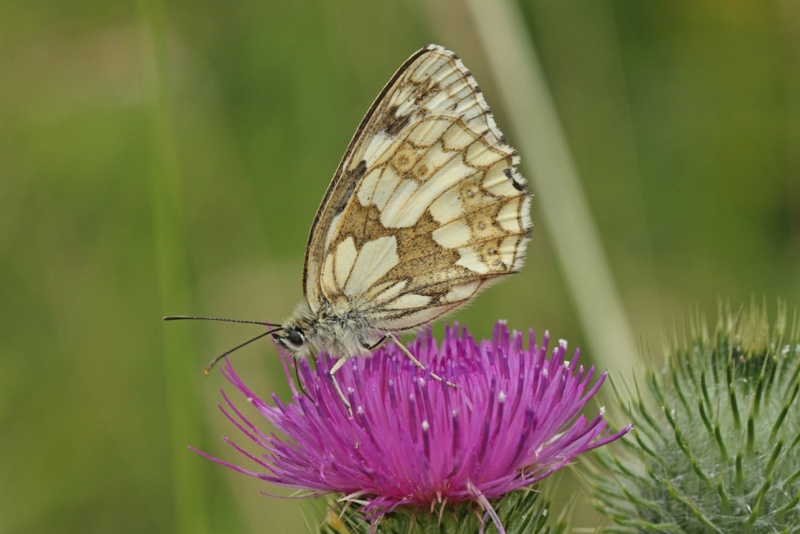 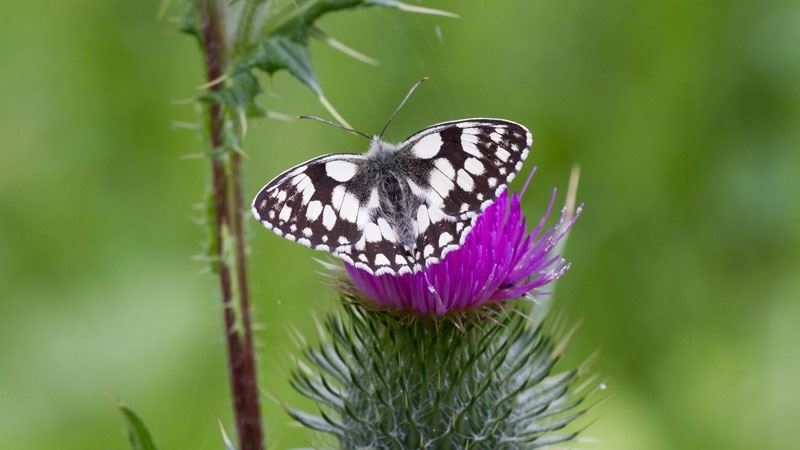 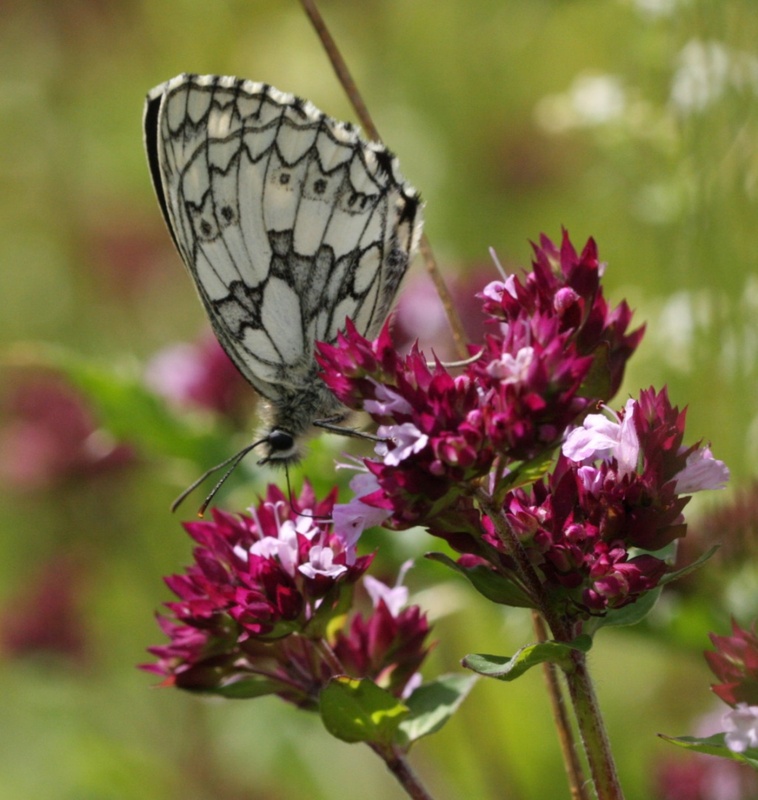 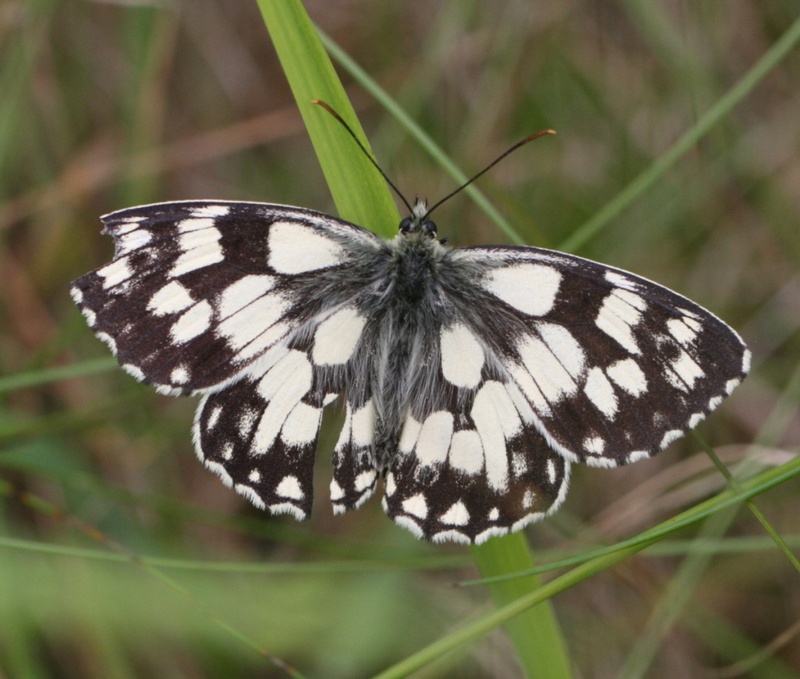 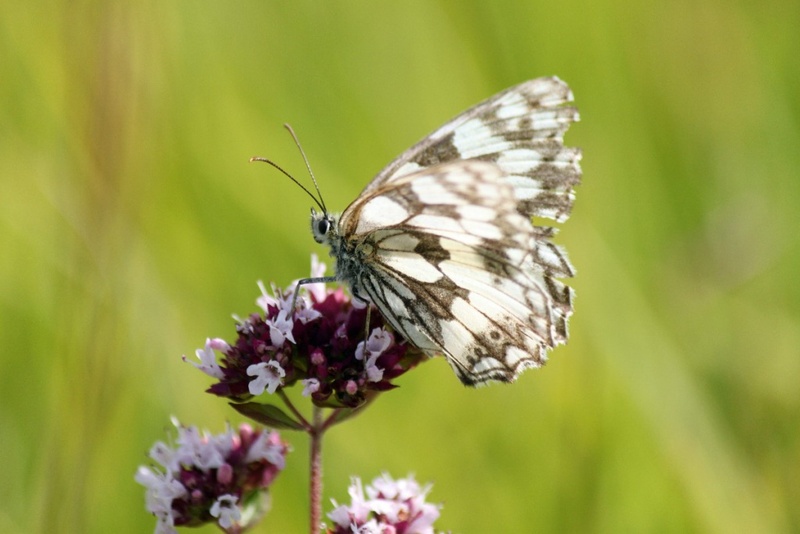 This butterfly is unmistakable, its black and white markings distinguishing it from all other species found in the British Isles. Adults emerge in the second half of June, reaching a peak in mid-July. 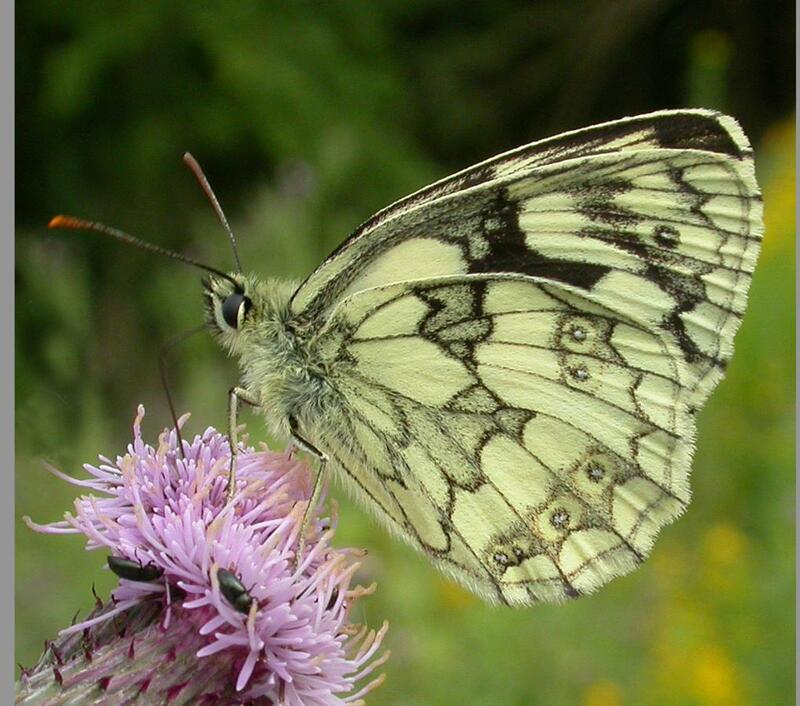 There is one generation each year. 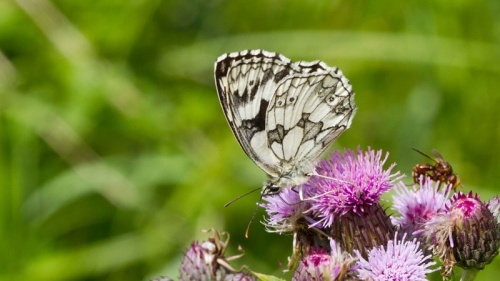 This butterfly is found in distinct and often large colonies. 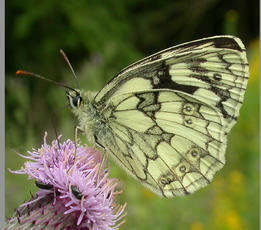 The main larval foodplants are grasses. Primarily found in the southern half of England and Wales, although its distribution extends as far north as Yorkshire. 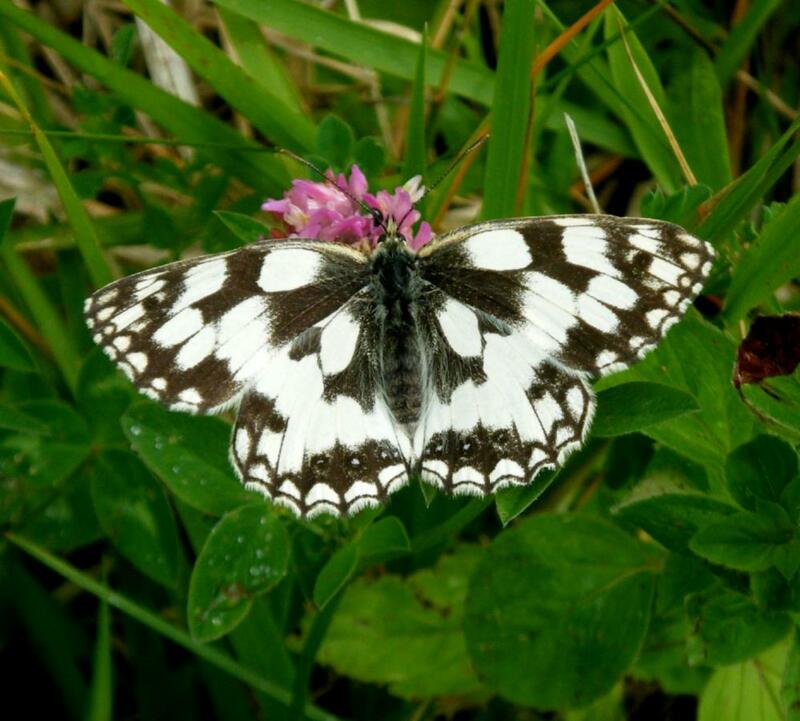 This butterfly is not found in Scotland or Ireland. 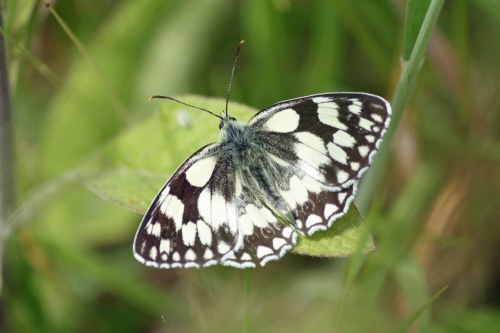 Common at Ketton Quarry and also found at one or two other sites in Rutland and in the Wigston area. 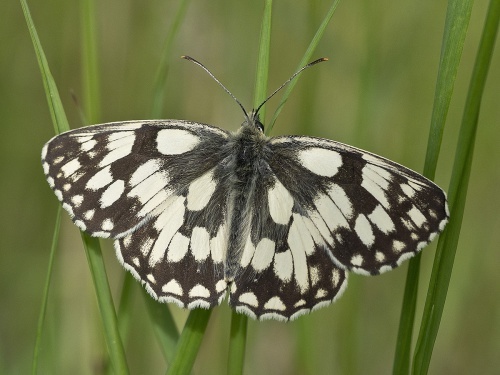 Uncommon or rare in rest of our area, although there are signs that it may be beginning to expand its range.